Many of us remember it as the old Library building but now the premises in Chruch Street has been transformed into a two storey facility that is now home to Sunnyfields Day Nursery. 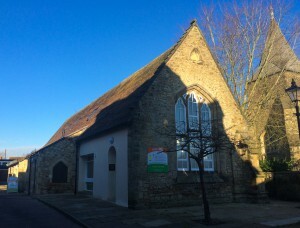 Renovations started in February 2015 and were completed in September 2015. An extra floor was built in the roof space with the rooms enjoying natural light from the large windows at either end of the building. 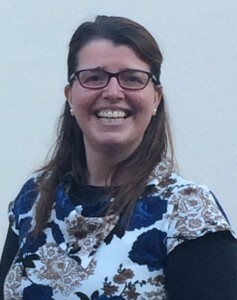 a Business Degree, gained Early Years Professional Status and has many years experience working with nursery age children. Since then Anna’s husband Stuart has joined the family business to bring on board his property and maintenance skills full time. Stuart is also NVQ3 qualified in childcare. Since the beginning of the year Sunnyfields has been open on a full-time basis and offers monthly Saturday open days to give parents the opportunity to view the facilities and speak to staff out of work hours. The purpose built baby and toddler units are set within a relaxed environment and routines are set in place for the children to help them develop and settle in. “Children love routine” explains Anna “so a strong daily routine is how a good day nursery performs well”. The pre-school unit is the largest indoor area offering writing, maths, role play and more to the children. To keep the space interesting for youngsters, the areas are changed around on a regular basis which is good for their stimulation. Breakfast is served at 9am each morning, lunch at midday and a light snack at 4pm. The children are given a hot lunch and pudding that have been specially prepared by a caterer who provides meals for all three of the Sunnyfields Nurseries. 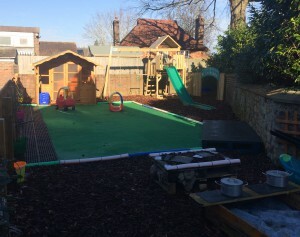 There is plenty of outdoor space for the children to let off steam, encourage their sense of adventure and develop new skills such as building, performing (they have their own stage), growing food and learning about nature. 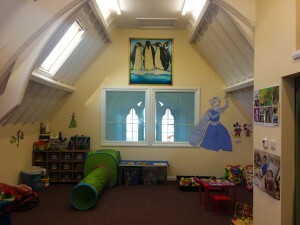 There is also a quiet area for the children to ‘escape’ to where they can read or enjoy the peace. Everything which has been installed in the nursery has been done with a great deal of thought. Even the door handles are positioned out of the reach of little arms to ensure the safety and security of the children. Sunnyfields Nursery may be new to Edenbridge, but Anna has a long history with the town after working here many years ago years ago in the old Aegon building. Her philosophy is to create a place where children are happy and parents feel confident in leaving their children under the expert supervision and guidance of her strong team of staff. Sunnyfields certainly has a lot to offer and Anna and the team are looking forward to welcoming you and showing you around the facilities. To get in touch call the team on 01732 867 008, email enquiries@sunnyfields.net or visit the website www.sunnyfields.net for further information.